Ingredients: Dead Sea salt, solar sea salt, Himalayan pink salt, epsom salts, cannabis, organic essential oils of eucalyptus, peppermint, basil, and lemon. 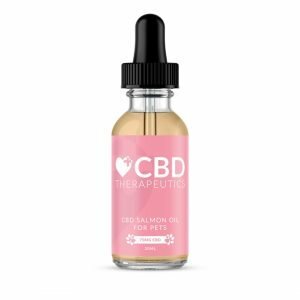 CBD Salmon Oil for Pets by CBD Therapeutics. 75mg CBD for small pets and 150mg CBD for large pets. 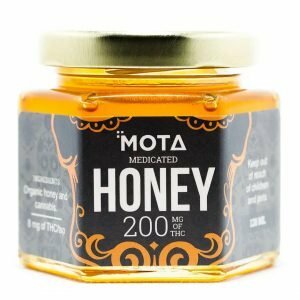 Mota CBD Spray. 120 MG CBD. Fast acting and effective, Mota’s minty infused alcohol spray is great for a smoke-free option on the go. 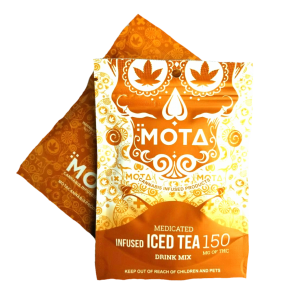 What better way to relax and refresh than with your own THC-measured dose of Mota Iced Tea Mix? This cannabis-infused thirst quencher is refreshing, and refreshingly easy! Simply add water and pour over ice to treat yourself to the perfect blend of tea and citrus with the perfect amount of sugary sweetness.